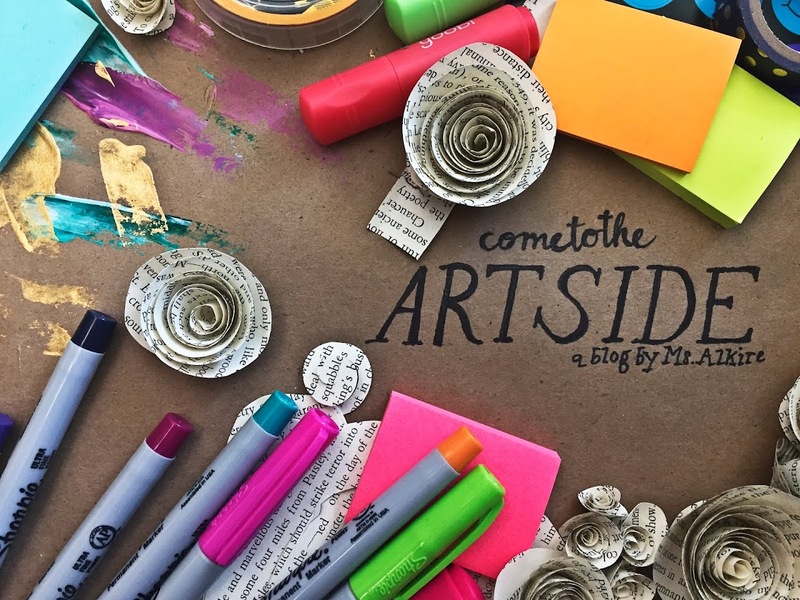 come to the Art side: Teacher Talk: How Pinterest has become the Death of Creativity. Teacher Talk: How Pinterest has become the Death of Creativity. Be honest. You spend hours upon hours pouring over it. It's the best thing since cutting out magazines and saving newspaper clippings, a place where there's no such thing as "just one more minute", the site that has single handedly stolen countless hours of sleep from you, otherwise known as Pinterest. You can find the wikipedia definition of pinterest here. Lets face it though, it's a black hole. It NEVER ENDS. NEVER. So, why the dramatic title you ask? Think about it. When was the last time you had an original idea that didn't come from pinterest? *silence* That's right, most of the lesson plans, ideas I've had for crafting or party ideas have come from pinterest. But where is the INNOVATION? Where are you as an artist or teacher forming new ideas, thinking outside the box, expanding concepts, building from the ground up, solving problems with creativity? It seems to me like pinterest is growing up a generation of artists who will need others to show them what to do, and how to do it DIY style. Now I'm not trying to bash pinterest, I love it and its vast array of ideas, creative quotes, new forms of art to explore. BUT in the back of my mind lately as an educator and as an artist I am thinking: When was the last time I pushed myself creatively without referencing someone else's idea? Have I lost all my creative originality? The answer I give myself is: no. If I had lost my creativity I wouldn't be questioning it. So what do I do to break out of the static of a creativity coma? You know how you need to cleanse your palette in-between different types of sushi with ginger? Thats sometimes what I need to do after planning lessons for my students to clear my head and get a blank canvas in my head. This might include going to a coffee shop and relaxing alone or taking a walk. 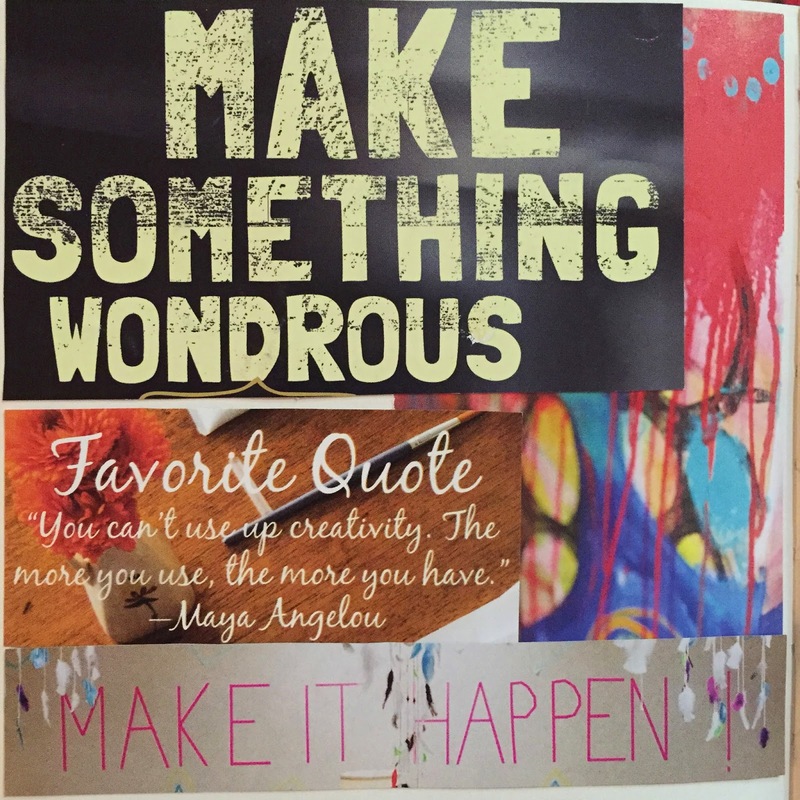 Maya Angelou was correct when she said: "You can't use up creativity. The more you use, the more you have." So creativity produces creativity. When I visit a museum I try to spend the whole day or several ours with my sketchbook just drawing things that catch my eye or make me think. After all art comes when we are responding to something in our life, or a question or a thought or ANYTHING REALLY. 3. Surround myself with artistic minds. Again creativity produces creativity! I go to art shows and meet up with the creative minds in my area, talk about art, listen to what they're doing, and collaborate! That always helps me come out of a creativity coma. I'd like to take a quote from my favorite creativity inspiring children's book The Dot by Peter Reynolds "Just make a mark and see where it takes you." True story: I have a nice white covered sketchbook I got in high school from Walden Books (by admitting this am I showing how old I am?) and I was so afraid to "mess up" that I never had the courage to draw in it. To this day I still have it and it is still blank. Of course, I've learned that even mistakes can become beautiful creations, but I keep it as a reminder that I shouldn't be afraid to just make a mess and see what happens. What do you think about Pinterest? Has it enhanced creativity or hindered it? How do you break out of a creativity coma? Share below! Thanks for a great article! I have read the same type of articles here typicalstudent and I also found a lot of interesting information there.